With the evolution of industrial automation, machines nowadays are becoming smarter and more digitized. 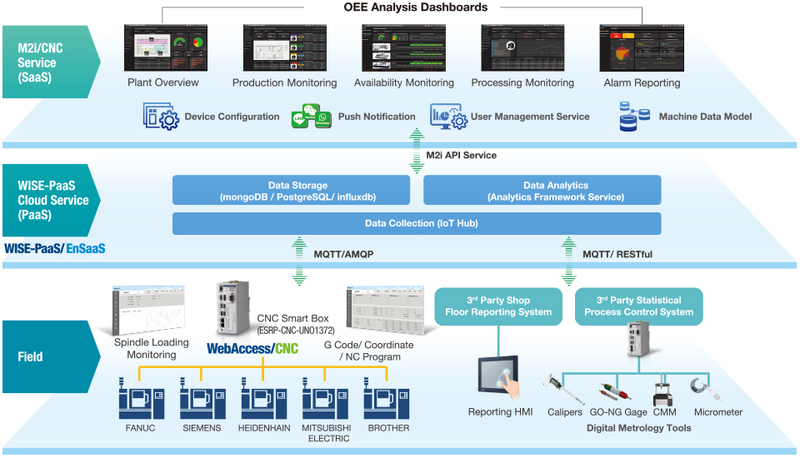 To accelerate the implementation of smart machine monitoring and management in Industry 4.0 applications, Advantech’s M2I/CNC solutions play a critical role in IoT integration from edge computing to cloud-based services. Our Intelligent CNC Management solution has been developed to bridge the gap from traditional machine management to optimization by facilitating cross-factory machine management in order to improve processing efficiency. 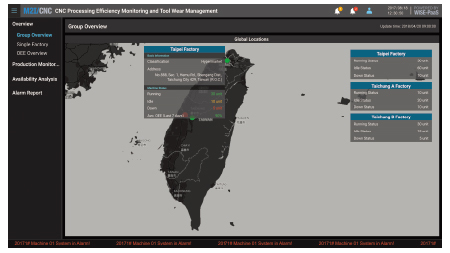 It also provides an overview of work order progress, production line availability, and other management services. 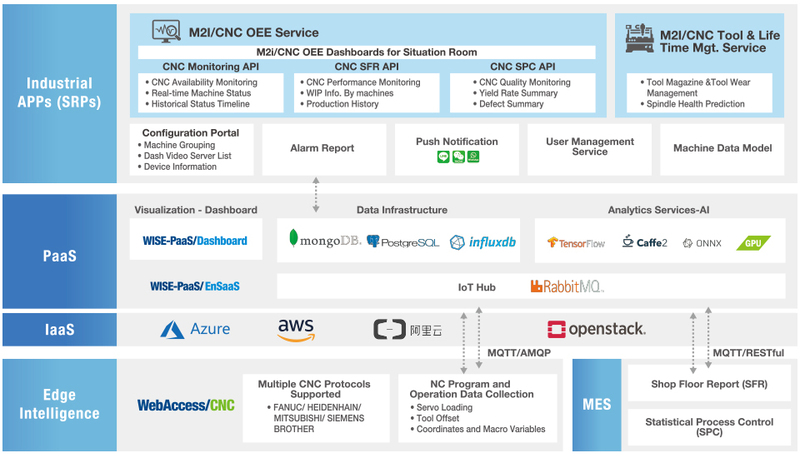 M2i/CNC services are built on WISE-PaaS, the Industrial cloud platform. The cloud-based services allow user to easily adopt from multiple field sites and manage all data centrally. The cloud system also features with the least effort in data redundancy and system reliability. 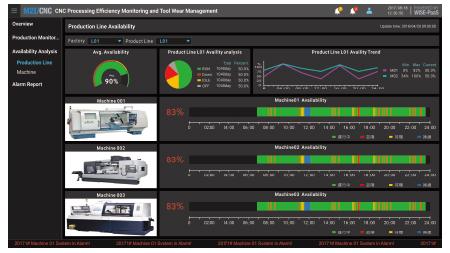 Pre-built CNC management dashboard template and user-friendly device and configuration portal help to give a clearer overview while improving maintenance efforts. Downtime duration, an alarm event summary helps users to define key issues with machines and take action to minimize downtime and optimize machine operations. In the past, machine information and metal processing production reports could only be compiled after regular work had been completed, and they would then be handed over to managers the following morning. 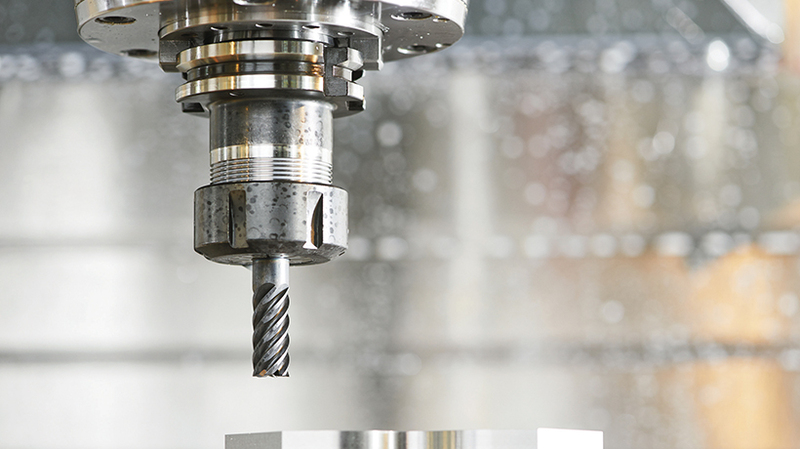 How to improve the efficiency of CNC machines and identify vital issues and abnormalities are critical issues for metal processing manufacturers. 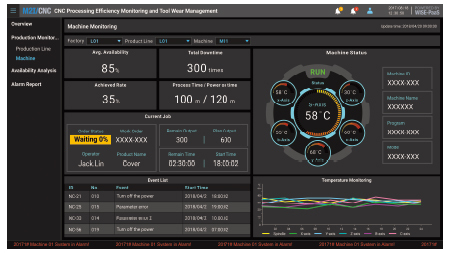 By implementing Advantech’s intelligent CNC machine management solution, managers can view CNC machine performance information in real time and immediately discuss and solve problems with relevant operators and managers. The solution has assisted in increasing this leading metal processing manufacturer’s production efficiency and yield rates. Most importantly, historic data can be utilized to indicate internal problems and help improve production efficiency. 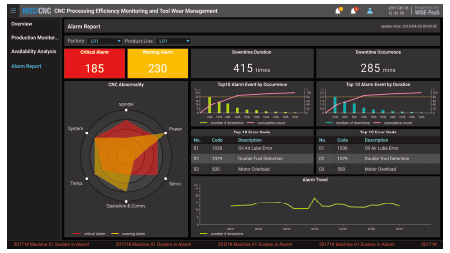 For instance, machine alarm reports in the past month had showed that a particular machine issued alarms much more frequently than other machines. After an in-depth study, it was found that most of the alarms were caused by inadvertent actions by workers, resulting in double tool detection on its production capacity, which led to frequent shutdowns. After training, the number of false-positive alarms was markedly reduced and production capacity was increased. In response to the trend of Industry 4.0, a worldwide leading metal processing manufacturer has implemented Advantech’s CNC machine management solution to progress from equipment and machine intelligence to transformative management.